This cake is amazing!! My fiancé is a huge Matrix fan. He has a birthday coming up I’m September. I would love to make this for him. I had a few questions if you don’t mind. 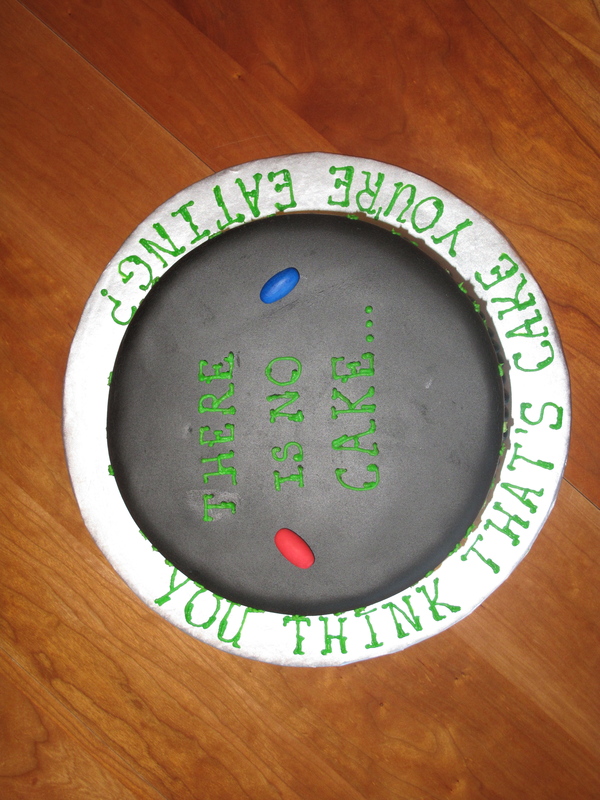 Did you write the numbers/letters on the side of the cake? If so, what type of icingbpen did you use? Also, what kind of fondant did you use or did you make your own? Hi! Thank you!! 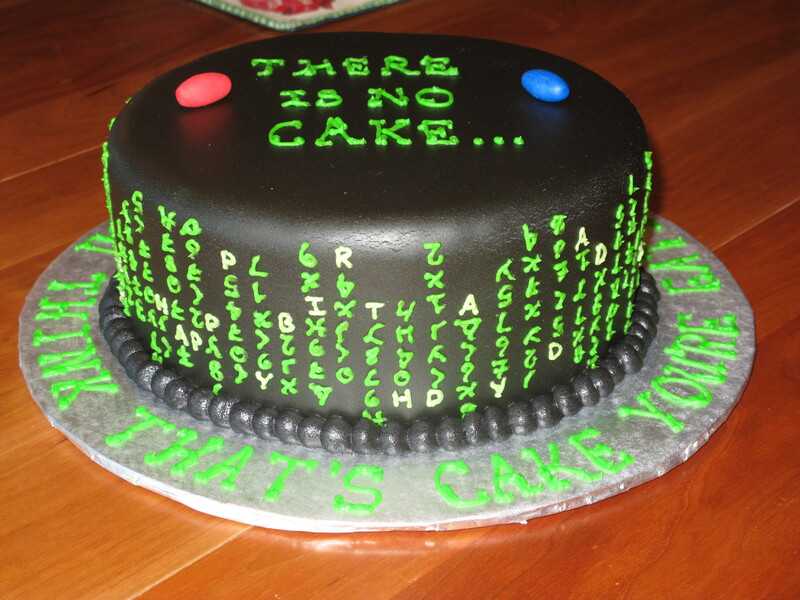 I did write all the numbers….I just piped them on with really thin icing….took forever! I googled “Matrix code” and found a picture where I could see the symbols well enough to copy them. I made my own marshmallow fondant for this cake. 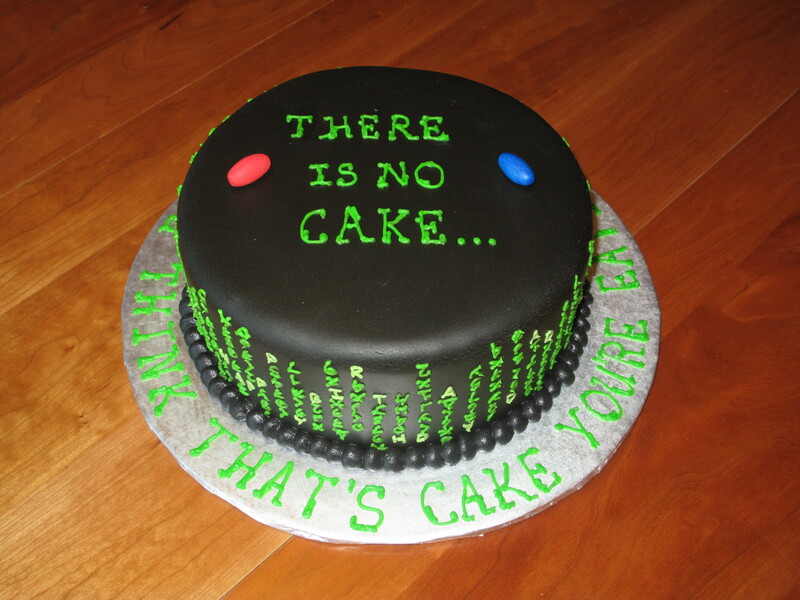 It tastes great, but make sure you roll it out pretty thin if you use it just because it’s a little heavy on the cake. Hope it goes well for you!